The Nationalist candidate for the 2018 American Legion Auxiliary Girls State governor position, Kolberg has embraced these qualities during her campaign. “When I speak to the girls at our convention, I speak from the bottom of my heart. It’s really important to me that I don’t speak without intent and that I mean what I say,” Kolberg said. Kolberg’s parents always made sure they had a deep knowledge of politics and discussed political issues in the household. They also inspired the charismatic candidate from Yankton to attend Girls State and run for governor. “My mom was unable to go her year, although she wanted to. My dad attended Boys State and loved it and became the Supreme Court Justice,” she said. The main reason Kolberg wants to become governor is because she wants to represent young women in South Dakota. “That would be a dream come true to support young women,” said Kolberg. 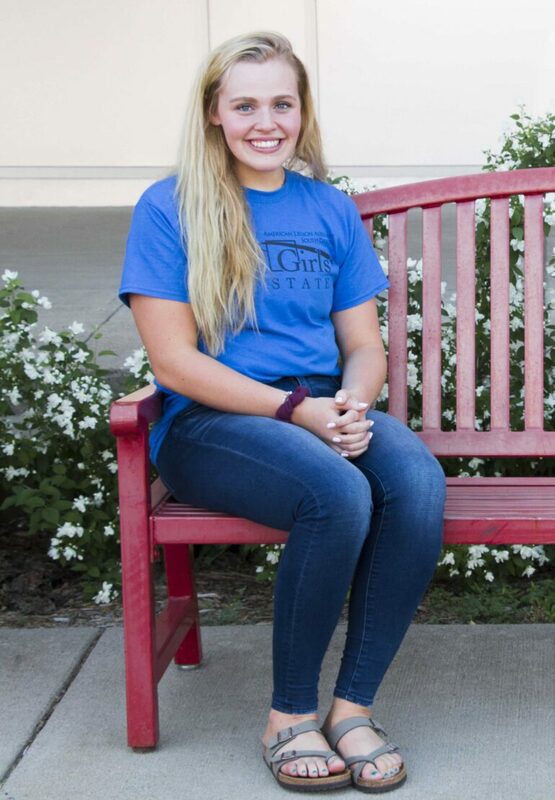 Sparked from her interest in politics, Kolberg is involved in her school’s student council along with National Honor Society, the school musical and one-act play. She loves trying new things and meeting new people every day. Kolberg said she tries her hardest to stay involved in he community and tries to influence every person she meets. Standing by Kolberg’s side is her keynote speaker Abigail Ryan and her lieutenant governor Madison Bollweg, who both agree Kolberg exudes the qualities so important to her. “She just comes off as a very genuine person and you can just see that when she talks to other people,” said Bollweg. Kolberg and her team chose “Unification” for their platform. She and her team speak out about empowering each other and spending time with other girls outside individual cities. “Encouraging empowerment among each other is really important to me,” Kolberg said. Amber Alvey, senior counselor of Kolberg’s city, Washington, agreed that Kolberg’s focus on others stands out most about her delegate. “She really tried to get input from every person in her party. She is a very people centered person,” Alvey said. Kolberg also believes in education and that it enforces empowerment. She also noted that education should be funded all across the state, from reservations to bigger urban schools. “There’s power in education,” she said. 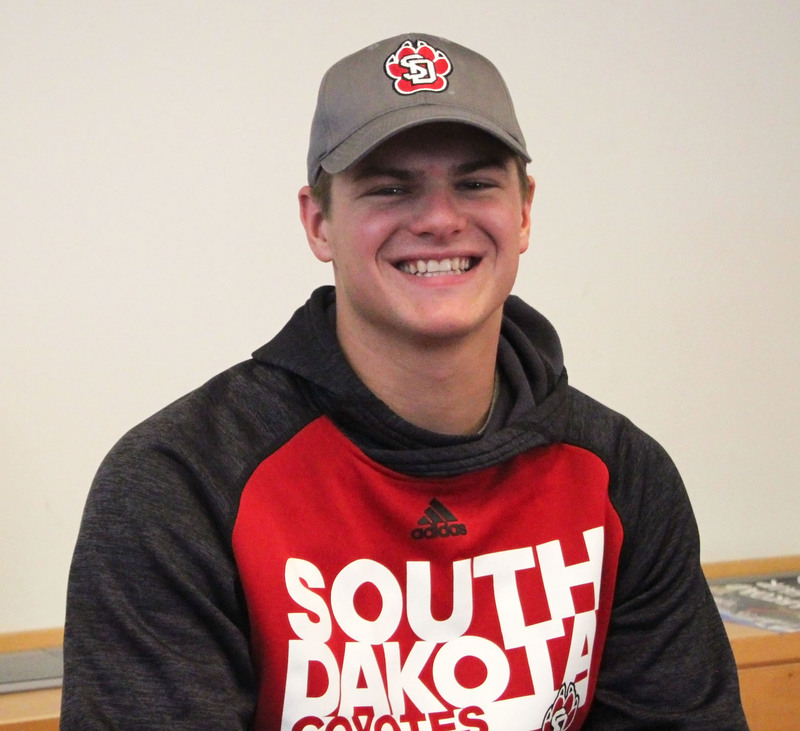 Kolberg’s future plans include attending college and working in public service. She said her path could include something medical, because of her mother’s involvement in the medical field. Reflecting on her time spent at Girls State, Kolberg said one aspect she will take away from her experience is never to give up. “There were so many times I wanted to just say ‘It would be so much easier to just give up and let someone else have it,’ but I know I’m better than that and I am stronger than that,” Kolberg said.